25th Anniversary A Huge Success! Our 25th anniversary pull was a huge success! 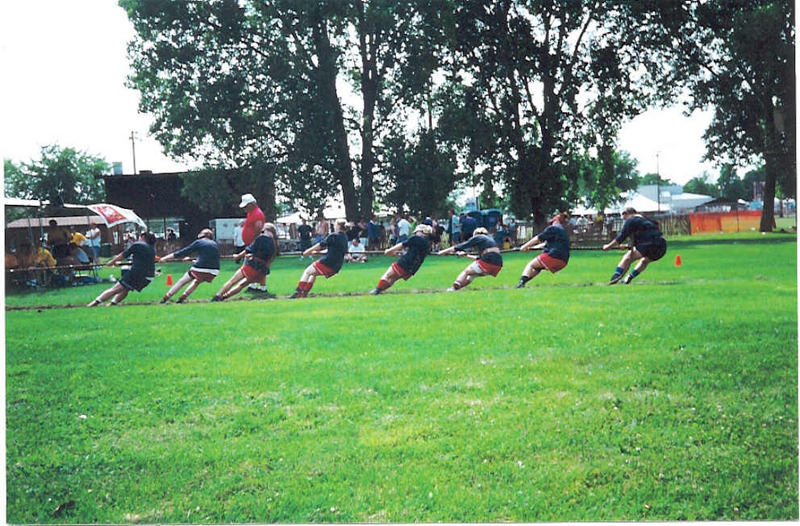 The event was to a Qualifying pull for the teams that are representing the USA in South Africa September 25-28, 2002. Mt Vernon Wi 640K mens DJS of Lakeville Mn. The womens results were 520 K: DJs of Lakeville MN and 560 K: was Oregon! The Kristi Thompson Award was won by Linda Barry of the Oregon Ladies. Congrats Linda. 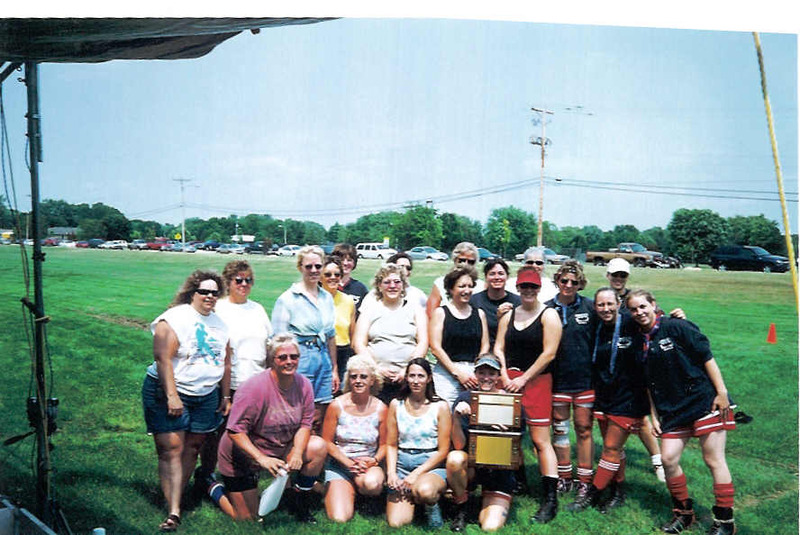 Between 15 and 20 alumnus of the Oregon Tug of War Ladies came to cheer on their on their favorite team. It was great to see so many ladies in attendance. The heart is still there just the body says NO!